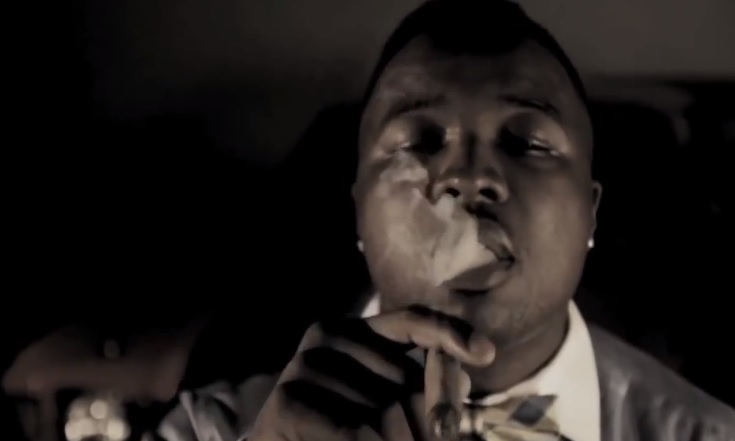 Troy Ave keeps it all the way classy as he personifies that boss lifestyle in his latest visual for “Cigar Smoke.” Watch the New York emcee in action as he laces the hypnotizing instrumental with his signature street inspired rhymes. King Sevin shows on the soulful number to drop some drug infused bars. Harry Powder also doesn’t disappoint as he shows off his smooth flow to the camera while accompanied by a half-naked beauty for our viewing pleasure. This entry was posted in Music, Video and tagged hip hop, king sevin, music vieo, new york, rap, single, the album, troy ave. Bookmark the permalink.